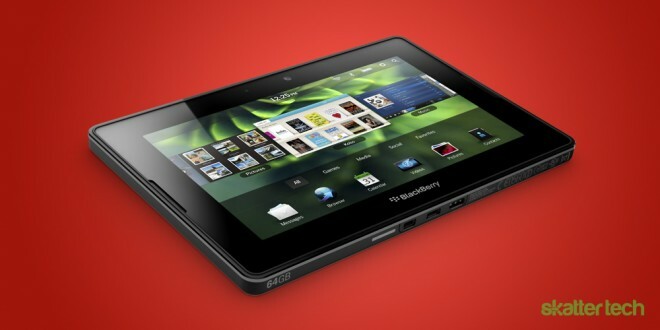 Is The BlackBerry PlayBook Heading To Verizon Wireless? During CES 2011, Sprint announced that they would exclusively offer the upcoming BlackBerry PlayBook on their 4G network. However, there was no official word from RIM regarding a possible Verizon Wireless iteration or how long the exclusive would last. 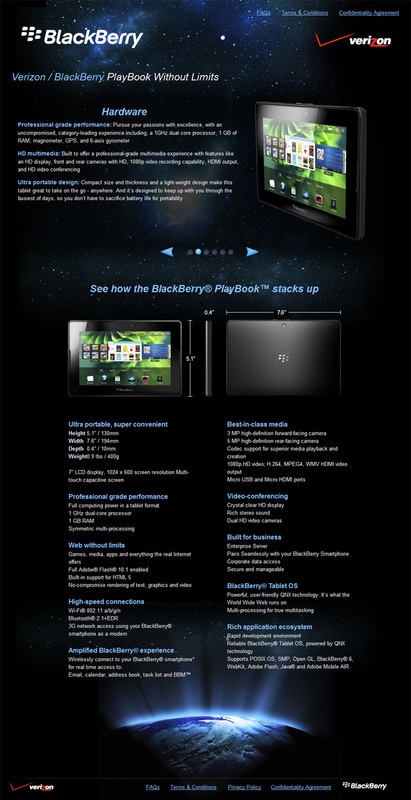 Earlier today, one of our readers sent us a web page that offers in-depth specifications about a possible Verizon Wireless PlayBook. The website appears is a now-closed registration portal to let people join a “beta program” to trial a Verizon Wireless PlayBook before launch. I was initially skeptical whether this was real, but a little WHOIS look up revealed that Marketing Werks was the owner of the domain. Heading to the marketing agency’s website revealed that RIM and Verizon Wireless are clients, further hardening the evidence. As for the hardware specifications, it features all the standards including a 1 GHz dual-core processor, 1 GB of RAM, a 7 inch multi-touch capacitive screen, WiFi a/b/g/n, a 3 mega pixel front-facing camera, and a 5 megapixel rear-facing camera. The document reveals support for 3G access through a BlackBerry smart phone, but there is no mention of support for Verizon’s new 4G LTE network. We are contacting Verizon Wireless for an official comment shortly, stay tuned for more details.